Born in Moscow in 1905, Nikolai Sedel’nikov was a Russian illustrator, graphic designer and photocollage artist active during the first half of the 20th century. Sedel’nikov began his art training in the years following the Russian Revolution at the School for Technical Drawing and Lithography, Moscow. Sedel’nikov was influenced from an early age by Kazimir Malevich’s Suprematist style, enlivening his photocollages and designs with bold use of color and striking geometric form. Best known by the painting Black Square (1915) a groundbreaking achievement of Russian avant-garde art, Suprematism pushed abstraction to its furthest limits in an effort to express the complete dematerialization of objects in space. In 1924, Sedel'nikov enrolled at the Higher State Artistic and Technical Studios (VKhUTEMAS), popularly referred to as at the Bauhaus of Russia. 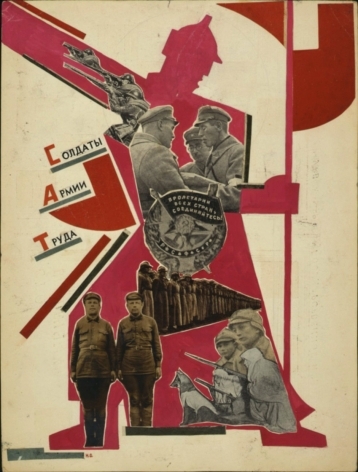 Under the instruction of such figures as Vladimir Tatlin, El Lissitzky and Aleksandr Rodchenko, the school taught color theory, art history, and studio art, encouraging their students to translate their artistic abilities for the service of the Bolshevik project. Upon completing his studies at VKhUTEMAS, Sedel'nikov began an earnest career in graphic design and printmaking, innovating the fields with new typographic fonts and an experimental handling of space and color. His influence extended beyond the field of graphic design; in 1928, Sedel'nikov became a founding member of the October Union of Artists, widely recognized as the most influential avant-garde art union of its time in the Soviet Union. 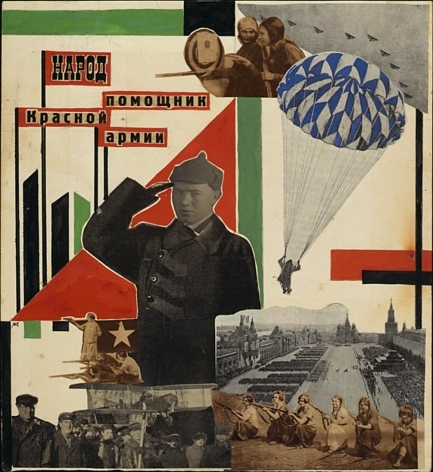 Other members included El Lissitzky, Alexander Rodchenko, Sergei Eisenstein, and Diego Rivera. In the same year, he exhibited at the Pressa Fair in Cologne, where he was awarded a gold medal for his work. 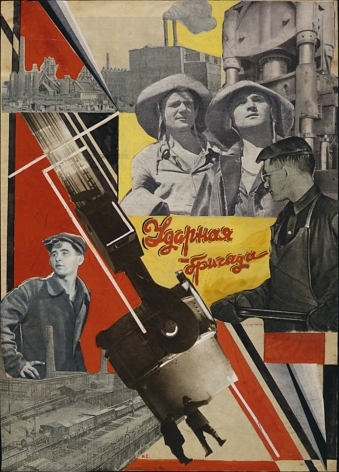 In the 1930s, Sedel'nikov began contributing to the internationally published magazine, USSR in Construction. His designs for the 1937 issue would earn him the grand prix at the world’s fair in Paris that year. Sidel'nikov also became a member of the Union of Artists, continuing his work in photomontage and design through the 1960s. His artworks have been exhibited internationally, including at the 1992 exhibition Die Grosse Utopie. Die Russische Avantgarde 1915-1932, at the Schirn Kunsthalle, Frankfurt. He died in 1994 in Moscow.